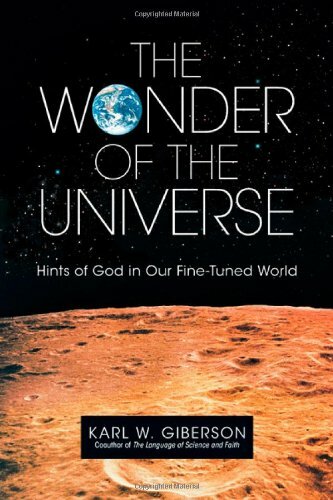 The Wonder of the Universe — Karl Giberson, Phd. Like detectives sleuthing out the greatest mystery of all, scientists over the centuries have uncovered clues about the structure and origins of the universe. The work of Galileo, Newton, Einstein, and a host of other tenacious researchers and thinkers reveals a cosmos of almost unimaginable wonder and beauty. If we then honestly follow the evidence of science wherever it leads, where do we end up? Karl Giberson takes us on a fascinating guided tour of planets and protons, galaxies and gamma rays. We discover that if gravity were slightly stronger, neutrons a tiny bit lighter, the size of our sun somewhat larger or a dozen other factors altered by fractions, there would be no life. The author shows that for many observers, even those who do not embrace religious faith, all of this looks suspiciously like the expression of a grand plan--a cosmic architecture capable of both supporting life such as ours, and inspiring observers like us to seek out hints of a creator. Join this cosmic expedition and discover the wonder of it all. — Leslie Wickman, Ph.D., Center for Research in Science, Azusa Pacific University.